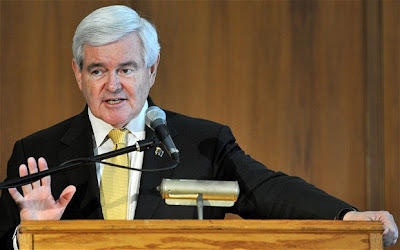 A healthcare think tank founded by Newt Gingrich has filed for bankruptcy, piling further humiliation on the Republican presidential hopeful following the virtual collapse of his campaign. In the interim between resigning as Speaker of the House in 1998 and announcing his bid for the presidency last year, Mr Gingrich set up a number of businesses, including the Gingrich Group, a healthcare advisory company. Records show that that the business, which was at the heart of a collection of Gingrich-run firms referred to as 'Newt, Inc.', filed for bankruptcy in Atlanta on Wednesday.